Enrique Iglesias will be taking the stage at the 2017 Formula 1 Gulf Air Bahrain Grand Prix! Enrique will be performing on the Saturday night of the race on April 15th. Tickets are onsale now and avilable at Bahraingp.com, or by calling: +973 1745 0000 to purchase tickets over the phone. Welcome to Enrique-Iglesias.org! We appreciate your continued support as we aim to bring you the latest and greatest news on the talented international artist, Enrique Iglesias. By now, you should know who Enrique Iglesias is, but if you don't, we've got you covered! This site features an abundant amount of information and news about who he is, and what he's accomplished as a GRAMMY & Guinness Award winning, world-renowned singer, producer, actor, and living-legend. Thank you for visiting, and we hope you stop by again soon! Enrique-Iglesias.org claims no credit for any media posted on this site unless stated otherwise. Media and information on this site belong to their respective owners. 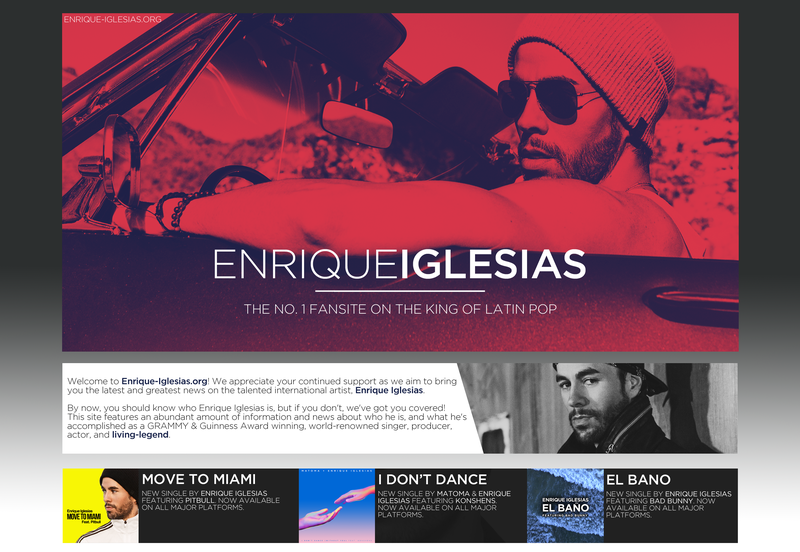 If there is content on this site that you own and you do not wish for it to appear on the site, email me at enriqueiglesiasorgfansite@gmail.com with a link to the media and it will be removed promptly. Please contact before taking legal action. No copyright infringement intended. Best Viewed In: Google Chrome and Firefox.